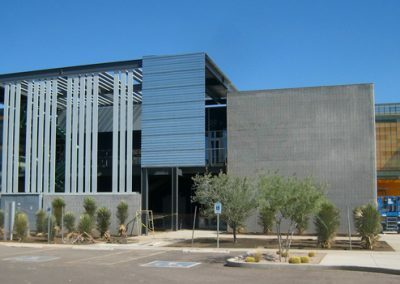 Ironwood Hall is innovative. 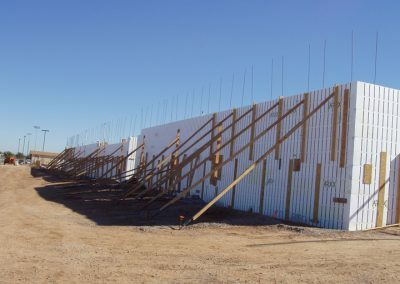 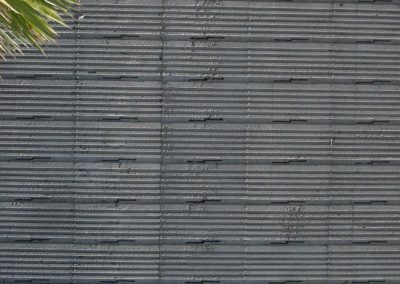 And although designers took the unusual step of removing the exterior insulation from some parts of the ICF wall after it was poured, the project was so creative that the judges felt it deserved top honors in the heavy commercial category. 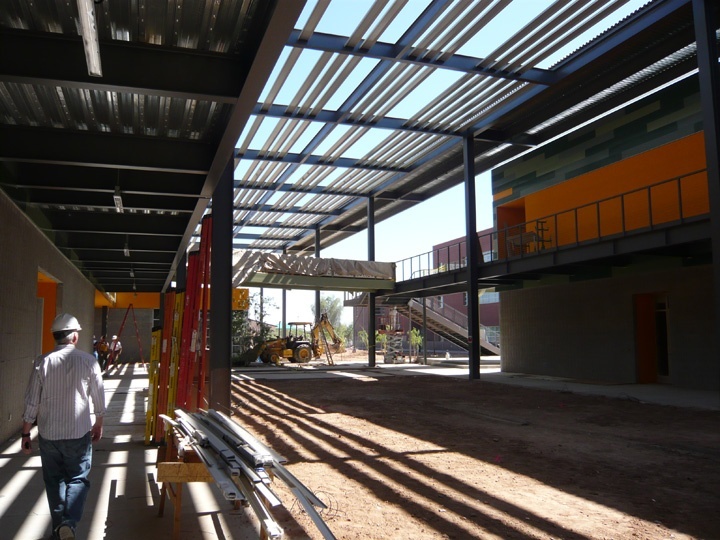 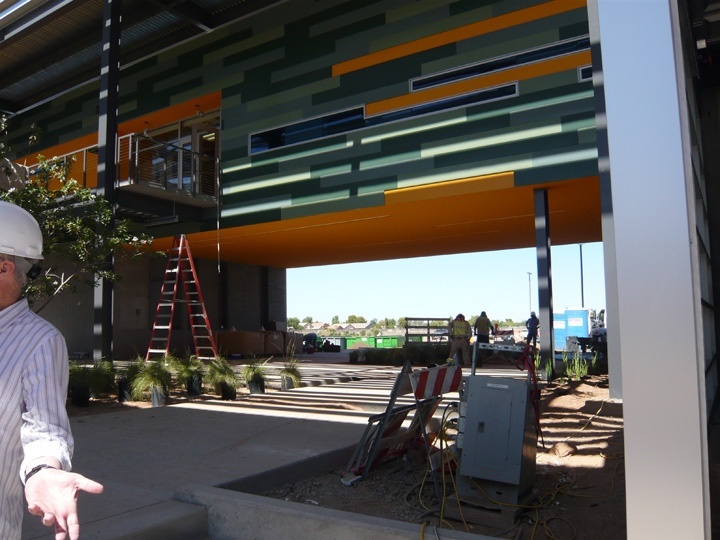 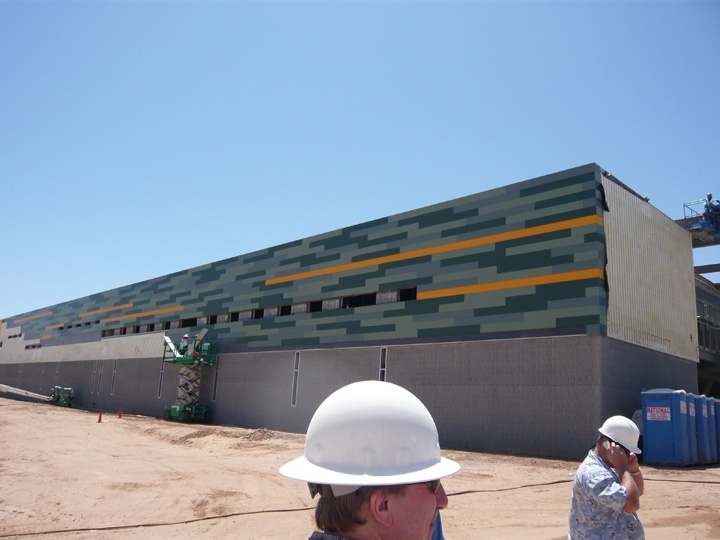 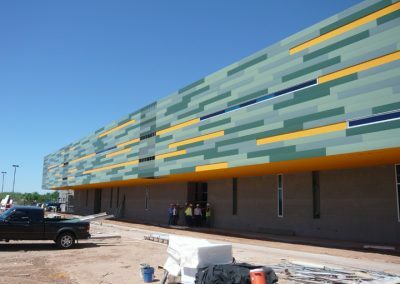 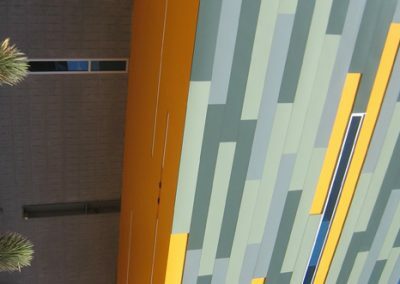 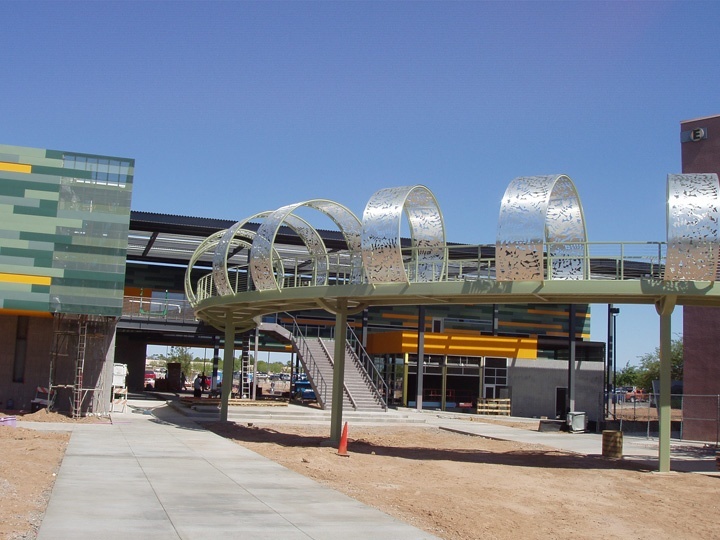 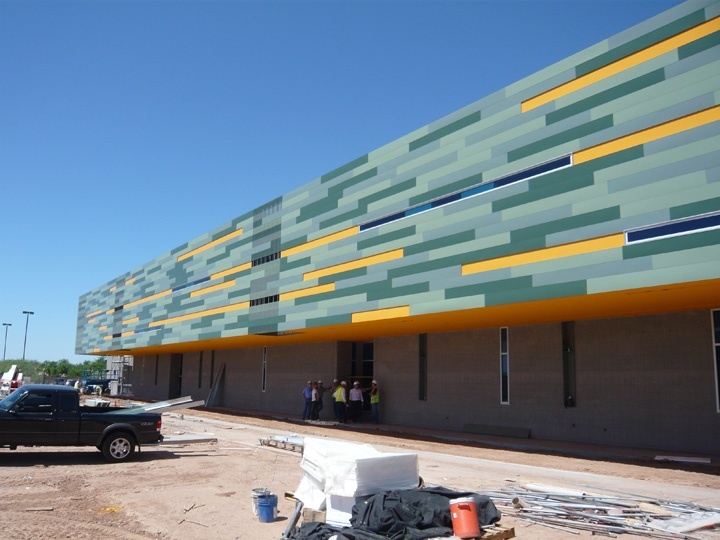 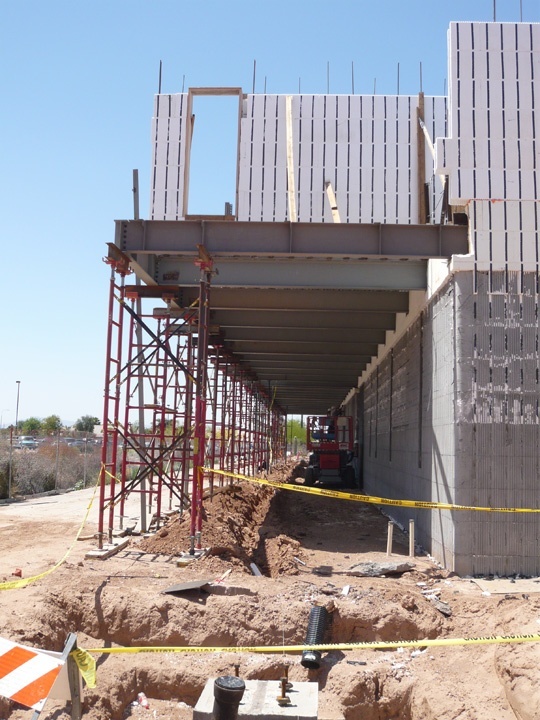 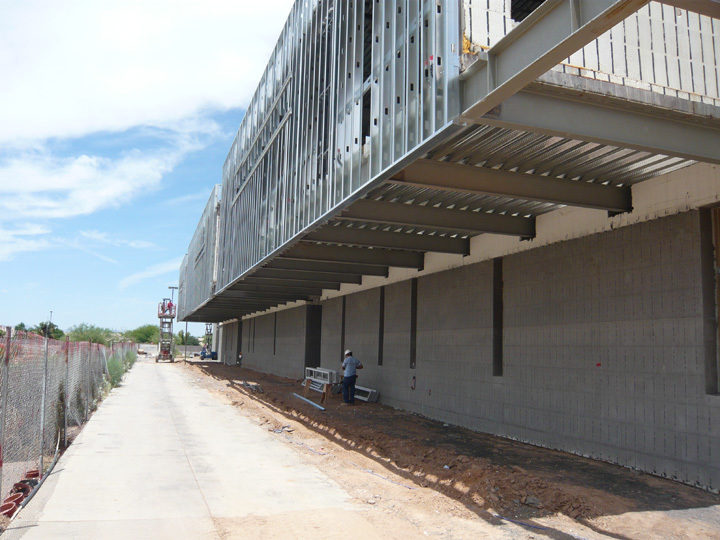 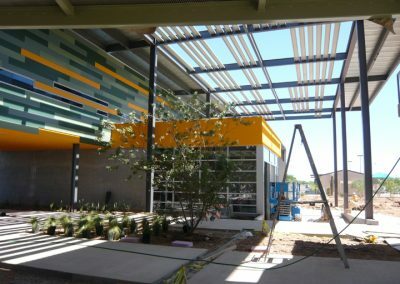 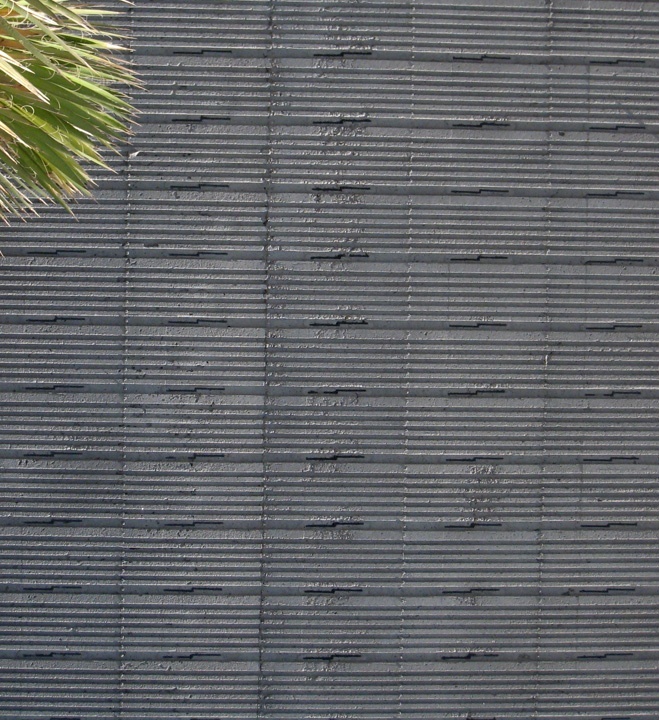 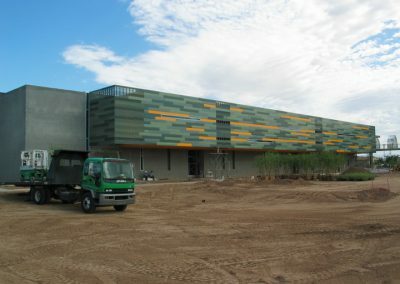 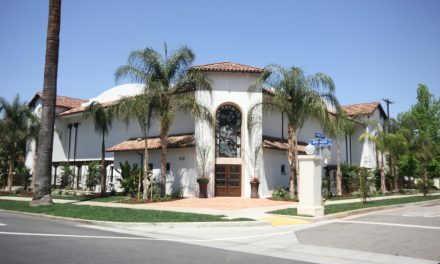 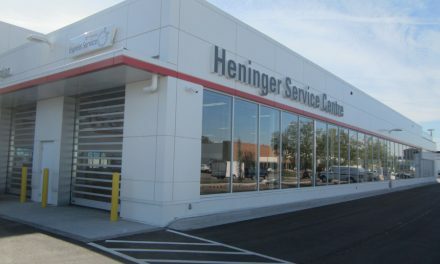 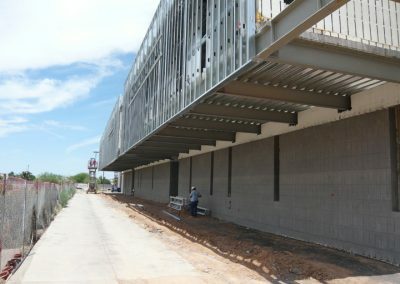 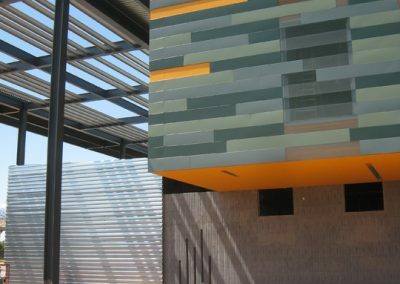 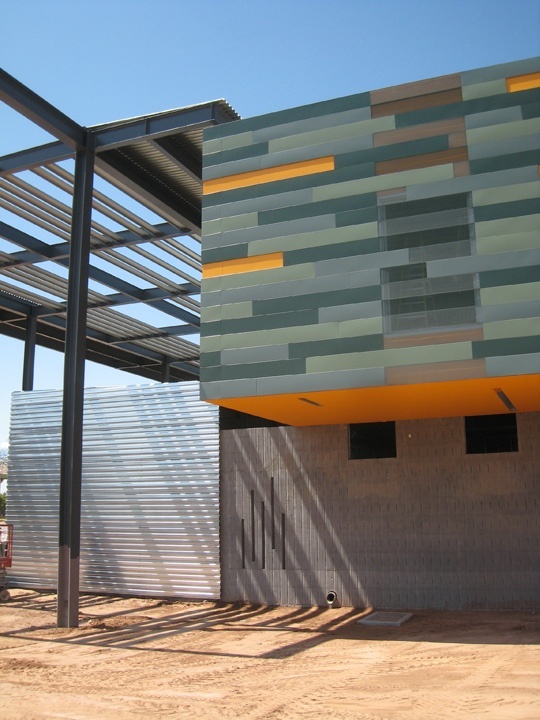 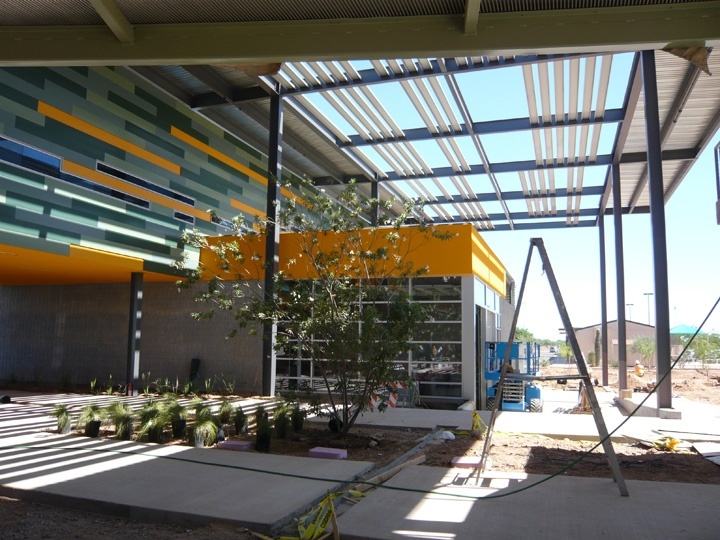 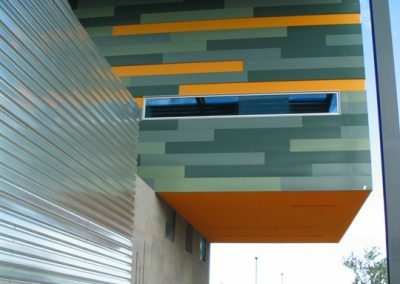 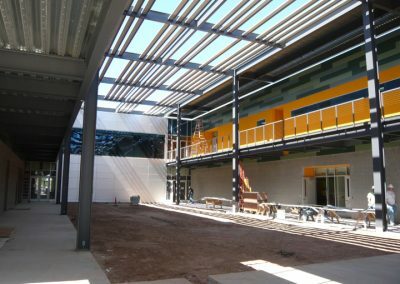 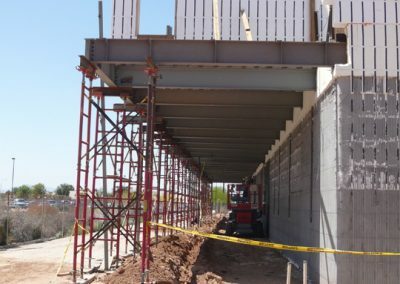 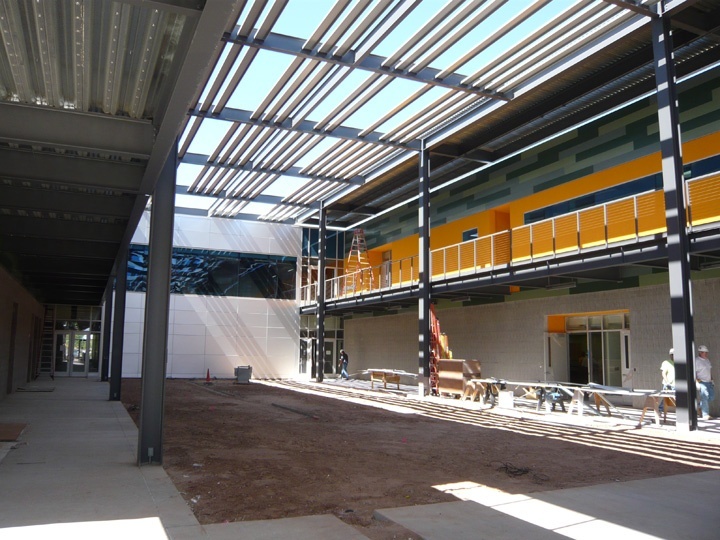 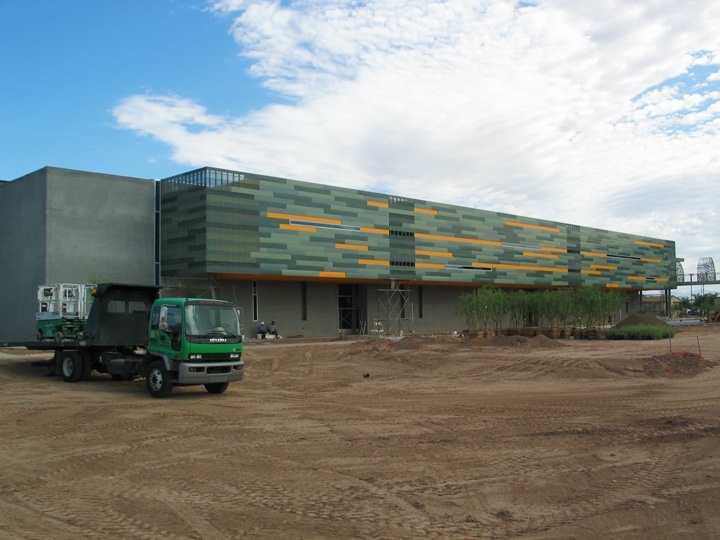 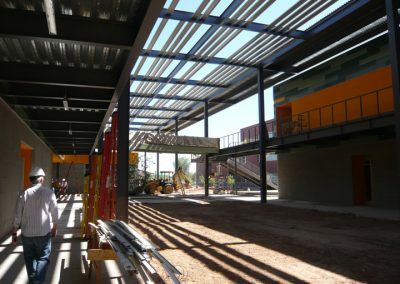 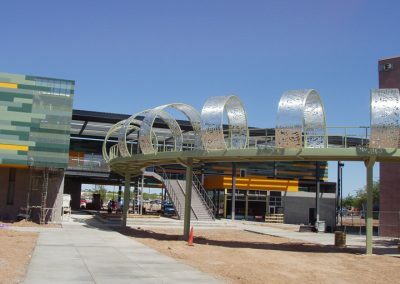 For starters, this community college in the southeastern suburbs of Phoenix represents one of the first times ICFs have been used for educational construction in the western United States. 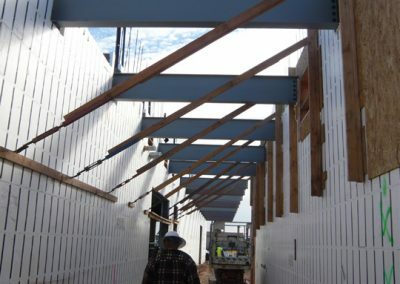 Second, the building achieves several engineering feats previously thought unworkable, such as cantilevering the second story ICF walls almost ten feet beyond the ground floor. 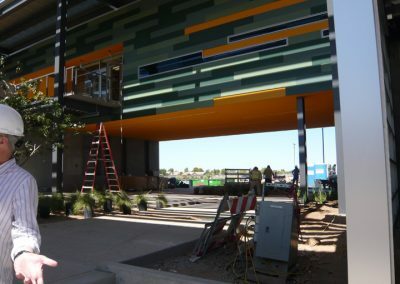 It is also designed with sustainability in mind, and LEED-Silver certification is pending. 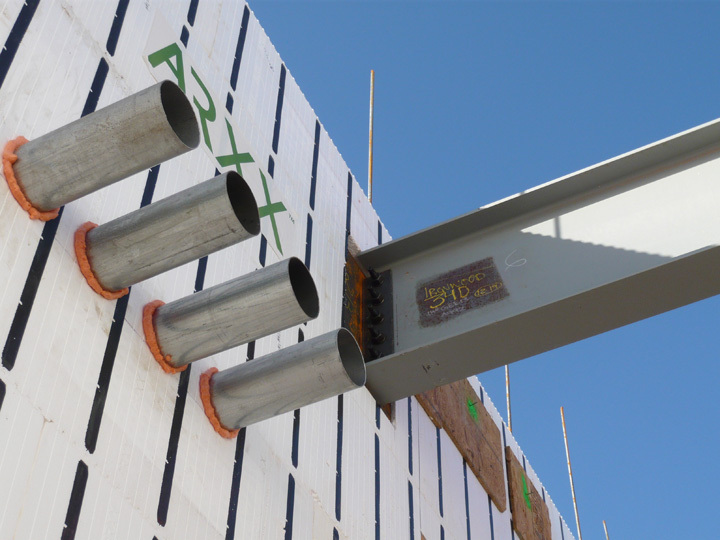 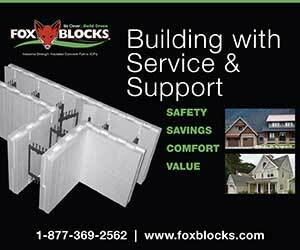 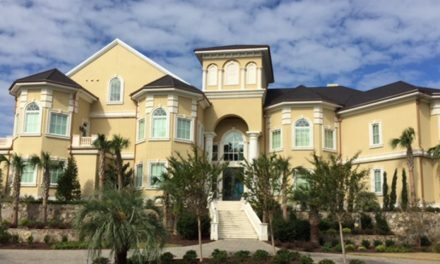 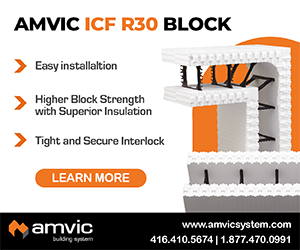 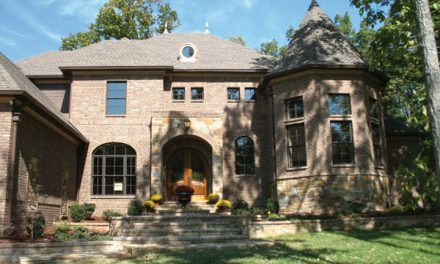 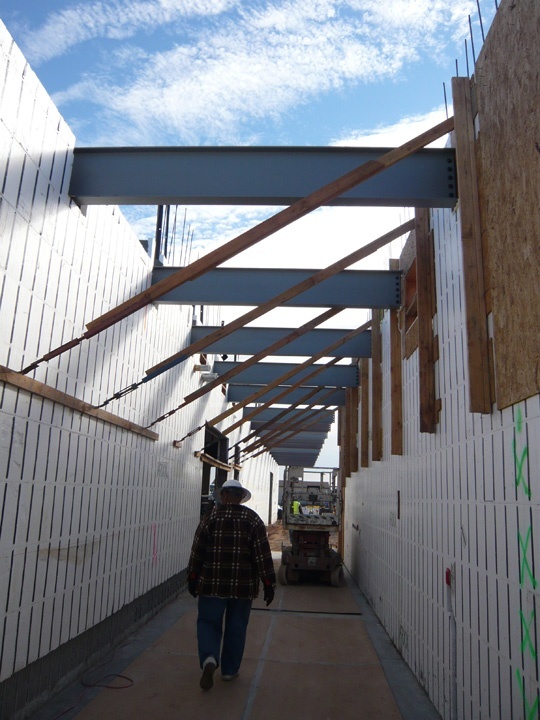 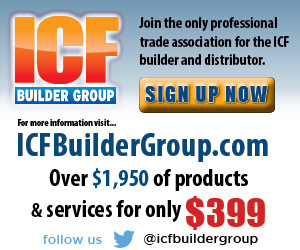 The ICF installer faced a host of significant construction challenges. 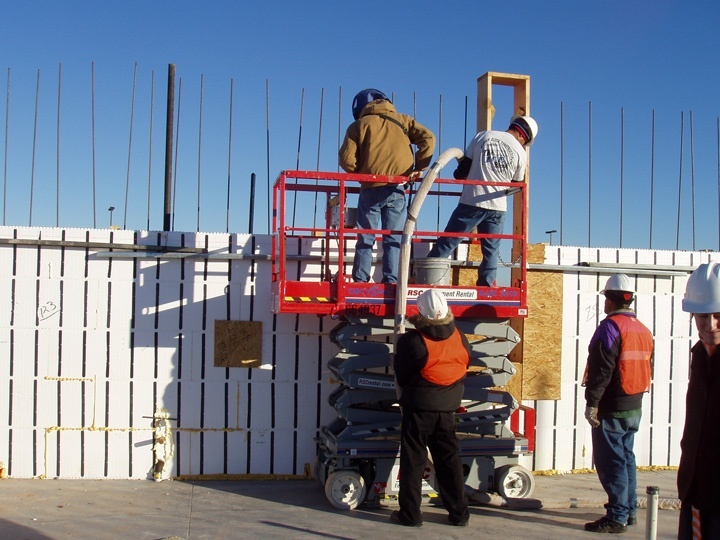 Because the exterior foam was removed from the first floor walls, perfect consolidation without voids or honeycombing was absolutely essential. 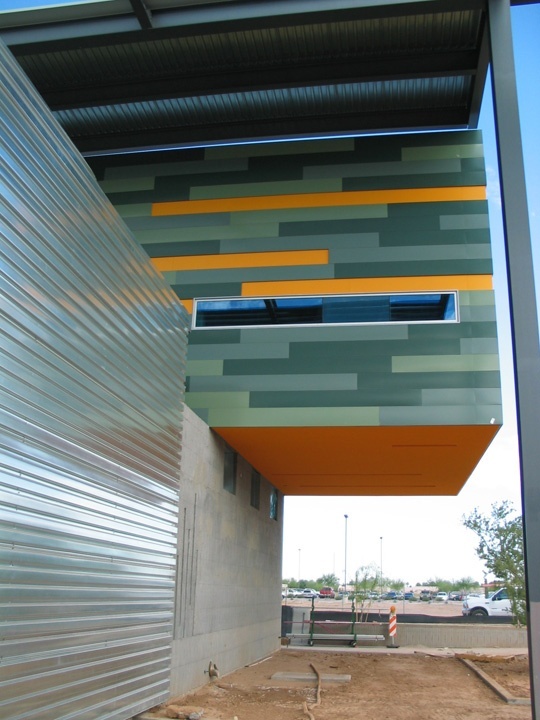 (The designer chose Arxx because of the pattern of the interior cavity.) Electrical boxes and hydrant valves had to be placed “blind” inside the cavity, and secured so they would remain perfectly square during the pour. 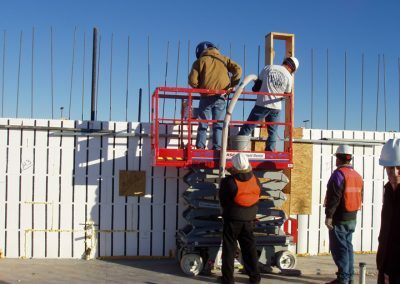 The distributor and the installer worked together to overcome these challenges, and the foam and ties were recycled.